sorry about the loss of your dog - he looks precious. Sorry to hear about Blitz - we know how much you loved him! So sorry to hear about Blitz - Hope this helps a bit! Your support over these last couple of weeks has been so amazing. Our family is blown away by your generosity. We cant begin to thank you enough. We had a proper burial for Blitz and have been talking about getting another dog. Im not sure my son is ready for that yet.. but I think he will be soon. Thank you for keeping us in your prayers! 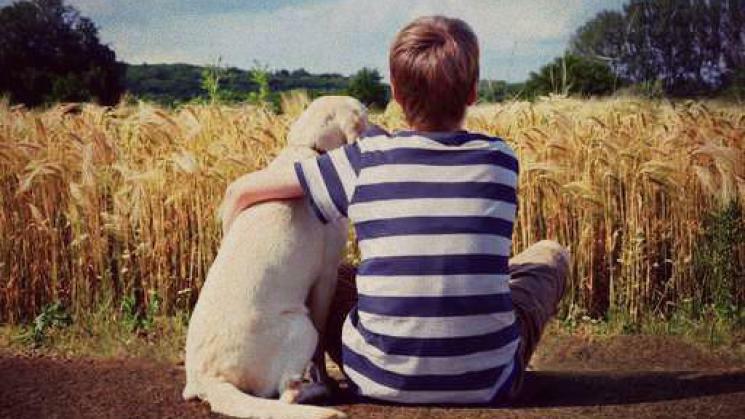 Blitz was our beloved family dog, and my son's best friend. He was in the wrong place at the wrong time. He was supposed to be back at the house when we were working in the farm last Sunday and the workers didn't see him when they were operating the machinery. We are sad to report that Blitz didn't make it out alive. Our entire family is devastated, mostly my son. They spent every waking moment together. I am having a difficult time even writing this story. Our friends suggested to us that we should do a campaign to not only honor Blitz, but to help raise money to get another family dog. If you would be so kind to show my family and my son how much a best friend means to you, that would make his world shine. Thanks to you in advance - any amount helps.